Saving changes is not permitted. The change you have made require the following tables to be dropped and re-created. You have either made changes to a table that can't be re-created or enabled the option Prevent saving changes that require the table to be re-created. Pilih menu Tools | Options. 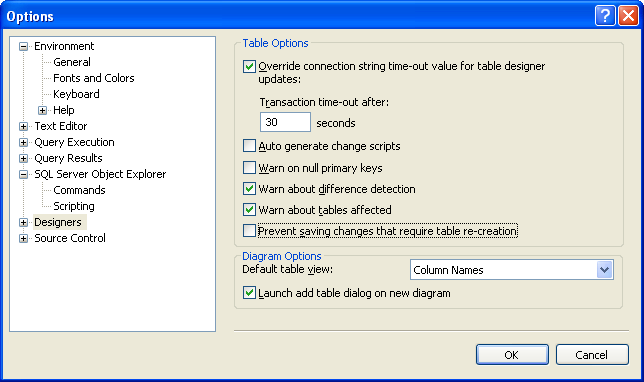 Jangan memilih opsi "Prevent saving changes that require table re-creation". Setelah itu coba lakukan lagi perubahan table, apabila belum bisa tutup SQL Server Management Studio dan jalankan kembali.